The Southern Wood Council Inc (SWC) was set up in 2001 to promote, encourage and coordinate the sustainable economic development of the forest products industry in the Otago and Southland regions of New Zealand. The Southern Wood Council includes all the major forest owners within the region, forest managers, larger wood processing and manufacturing companies, port authorities and representatives from local councils, industry training and Government organisations. SWC member companies own or manage the majority of the larger plantation forests within the region. It is one of few truly independent groups of its type that have been set up and currently one of the most active regional forestry groupings operating in New Zealand. To promote, encourage and coordinate the sustainable economic development of the forest products industry in Otago and Southland. To promote cooperation within and between established national and regional forest industry bodies, local authorities and other relevant groups. To provide an independent body to bring together and improve communication between persons and groups involved with the business of forest products in the region to work collectively on issues of common interest. To promote and support regional forestry initiatives and assist in implementing national initiatives. To actively promote the benefits of forestry and related industries to the community. For all the latest forest and wood products news and developments, SWC recommends the industry’s leading news source, Friday Offcuts. The NZ Wood advertising campaign was launched in December 2015. The aim of this campaign is to promote and profile the forest growing industry in a positive light and to educate the general public and politicians about the huge value the industry brings to New Zealand and New Zealanders. The concept “Love our forests” underpins all the reasons that forestry is great. Real people have been to tell the story and in the process, some great talent lurking in the forestry industry has been found! These three themes have been created for both billboards and magazines/newspapers. Attached is a short video being used as part of the campaign to promote forestry – to the community – to the industry and to Government. “Women are the answer to New Zealand’s skilled worker shortage,” says Pamela Bell, CEO PrefabNZ. “Wood is going to be bigger than dairy – more sustainable and provide the jobs for our future,” says Pamela. PrefabNZ, in collaboration with Carter Holt Harvey Woodproducts, BCITO and CareersNZ, has produced the logs4jobs video to raise the awareness of young people, especially females, of the work opportunities open to them in wood processing and manufacturing. Statistics New Zealand estimates a growth in employment of 107,800 jobs in primary industries, manufacturing and construction by 2023. Women are also the untapped workforce able to fill the future skilled worker shortage according to recent research (Destination Trades). A video and case study with tips on improving the safety culture of forestry workers was released in August 2016 and has been posted onto the SafeTree New Zealand (www.safetree.nz) website. It features a Southern Wood Council member. See how forest owner/manager Blakely Pacific reduced injuries and boosted productivity by working on attitudes towards health and safety among its workers. Watch the video above and read the full case study. There are a wide range of exciting roles within the forestry industry. Check out the stories below highlighting young men and woman who picked forestry as their future career. The training and jobs now being undertaken by all of them are as diverse and exciting as the industry. A new web portal, forestrycareers.nz, is a comprehensive starting point for anyone interested in forestry education, training and careers. It provides a wealth of information and directs you to other relevant websites and sources of information. It contains information about the myriad of career opportunities available in forestry. It covers options from practical roles in silviculture and harvesting to forest management, engineering, surveying, research, administration, human resource management, IT and others. Details on some 30 types of jobs are provided. In addition, an outline of the work involved, salary range, and what training or education might be needed to match each particular job is shown. For more information on forestry careers, click here. A surprisingly large number of scholarships, awards and other assistance packages are available for education and training at every level in the industry. For further information on what’s available, click here. Forestry training – what’s on offer? Details on the many regional and national education and training courses on offer can be found on the web portal, forestrycareers.nz (http://www.forestrycareers.nz). A full range, from entry level practical and academic courses through to options for further training mid-career to ideas for people thinking of moving into forestry from other sectors is supplied. There are numerous links to the various course providers’ websites and contact people. For more information on forestry training options, click here. A raft of resources for school careers advisers or anyone else who needs information about forestry careers, education and training is able to be accessed through forestrycareers.nz. A great collection of videos and other resources are accessible and downloadable for people running careers and recruitment events. The Southern Wood Council Awards programme is run in conjunction with Competenz. The event has been hosted at the the Forsyth Barr Stadium in Dunedin for the last couple of years. We have seen record numbers every year since 2015. Forest managers, forestry contractors, transport operators and product and service suppliers to the industry from throughout the lower South Island attend. Around 350 have attended each year. These Awards are the most widely attended and supported forestry event in the region. Mark the date into your diary. Yes, it’s that time again. The forestry awards programme for the lower South Island is running again in 2019. This will be the fifth major awards evening for the industry in the lower South Island. Feedback after last year’s awards was excellent. The turnout each year continues to be by far, the largest annual gathering of forestry and wood products companies, contractors and transport operators from throughout the region. Every year, well over 350 people from the industry attend. The 2019 Southern Wood Council (SWC) Forestry Awards evening is shaping up again to be a huge night out for the industry across Southland, Otago and South Canterbury. It’s being run by the Southern Wood Council in conjunction with the industry training organisation, Competenz. It’s also being supported by all major forestry companies and key suppliers to the industry from throughout the region. This is a unique opportunity for all those involved in training, in growing, processing and transporting wood and for those who support the industry through the provision of products and services. It’s an opportunity to come together to celebrate success – and to celebrate the contribution that the forestry sector is making to the community and economy – in the lower South Island. To ensure the success of these and ongoing awards, take the time to nominate an individual or company that has stood out in 2018-19. The process of nominating has been kept as short and as straightforward as we can make it. Nomination forms will be posted onto this site in early December and will be posted and distributed to industry early in 2019. Support the forest products industry in our region and celebrate the success of individuals or companies that have stood out this year. Plan to nominate someone who’s stood out within our own industry over this last year – for the 2019 awards. When: 5.30-9.30pm, Friday 24 May 2019. Mark the date now into your diaries. Where: Corporate Lounges, Fourth Floor, Forsyth Barr Stadium, Dunedin. Format: Pre-award drinks and nibbles, awards ceremony, post award drinks and catering. Awards Presentations: As well as networking, recognising and awarding certificates to those that have achieved National Forestry qualifications over the past year, announcements and the awarding of nine major forestry awards for 2019, special presentations by forestry and sporting greats are also planned as part of the evening. Details will follow. The full event brochure for the SWC 2019 Awards is available for download and printing. This includes detailed information on each of the individual awards criteria and the official award nomination form. If you have any questions please contact us on 03 470 1903 or caroline.rickerby@southernwoodcouncil.co.nz. The Southern Wood Council Forestry Awards will once again be hosted at the Forsyth Barr Stadium in Dunedin. Forsyth Barr Stadium is New Zealand's largest and most versatile indoor events arena. Sitting proudly as an innovative Dunedin icon, it’s a place where sports, concerts, events and conferences come to life. Car parking is available and free for those attending the awards evening. 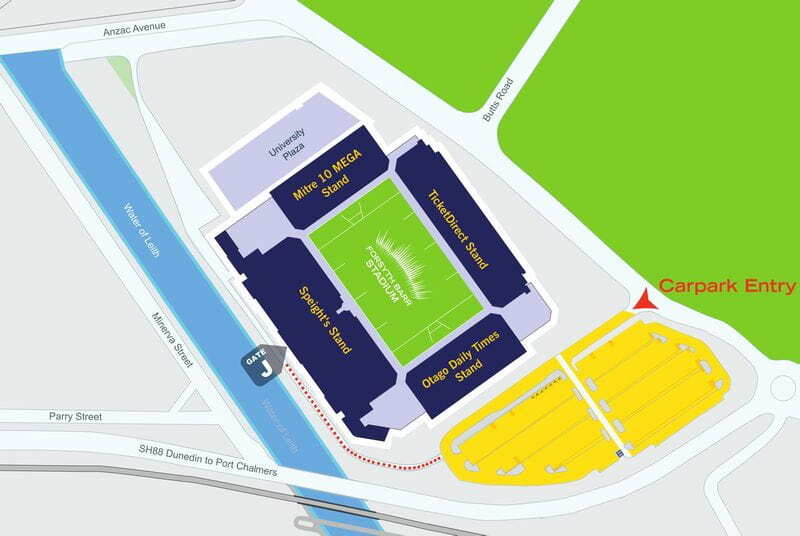 Please park in the main carpark at the ODT end of the Stadium and make your way to Gate J.
Click here for the Car Parking Map. Most working in forestry know of the kiwi outdoor clothing brand, SWAZI® Proudly designed and manufactured in New Zealand, they’ve been at the forefront of producing well designed, hard wearing and incredibly popular outdoor leisure clothing. 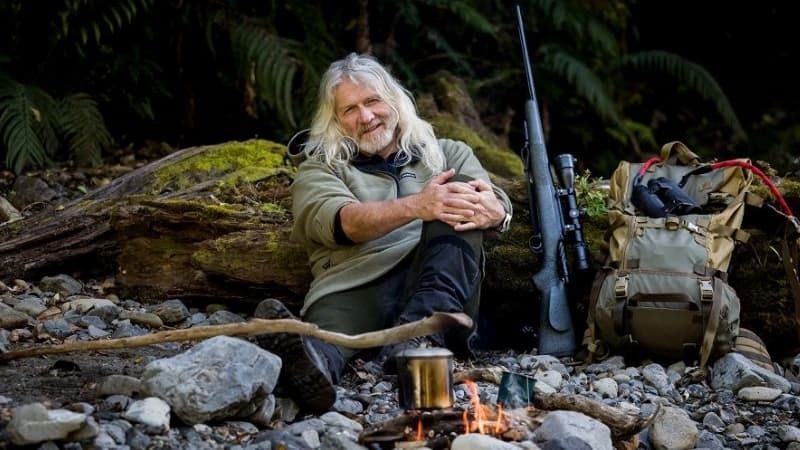 For those of you who hunt or spend time in the outdoors as your pastime, you’ll all own or aspire to owning a piece of their sought-after clothing range. We’re very pleased to announce that the man behind the highly-successful SWAZI®outdoor clothing label will be the guest presenter at 2019 Southern Wood Council Forestry Awards. Swazi founder Davey Hughes has hunted Caribou in the Arctic Circle, grizzlies in Alaska and buffalo in Tanzania. He’s the bane of New Zealand Customs officials’ lives and has run the gruelling Coast to Coast adventure race 3 times in the past 4 years. He’s also a passionate conservationist and he sure knows how to spin a yarn or two. A generous annual scholarship was introduced by the Southern Wood Council for School of Forestry students in 2011 for their final three years of study. The inaugural scholarship was awarded to the first student in 2011 and currently, three students in any one year, are receiving funding through the annual scholarship programme. 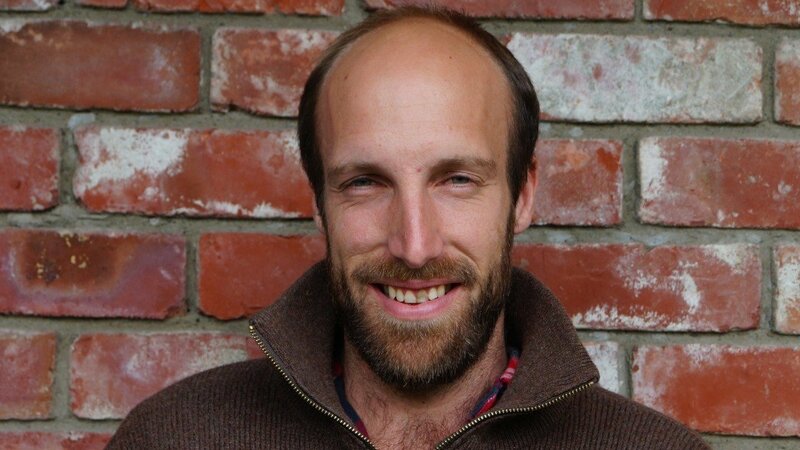 A University of Canterbury forestry student has just received top forest industry honours with a major scholarship being awarded. This year’s Southern Wood Council (SWC) Scholarship has been awarded to Rob Sheppard, a Bachelor of Forestry Science student, studying at the University of Canterbury, Christchurch. Rob, a mature student, had worked extensively in agriculture and tourism since leaving school. As well as an outdoors background including guiding (canoeing, horse trekking and hiking), instructing and animal control he also has family interests in both sawmilling and farming. Rob was also employed by a SWC member company, Port Blakely for three months work experience over the 2017/2018 summer period. The Scholarship is the seventh that has been awarded to students as part of an annual scholarship programme set up by the Council in 2011. The annual scholarship awarded by the SWC is one of the most prestigious and valuable awarded to forestry students in New Zealand. In any one year, the SWC has up to $13,500 committed to three student scholarships. “The Annual Scholarship is an opportunity for forestry and wood products companies in the lower South Island to put back something into the industry and to support outstanding students studying towards either the Forestry Science or Forest Engineering courses at the School of Forestry” says SWC Chairman, Grant Dodson. “The SWC is delighted to award this year’s scholarship to Rob and the industry is keen to continue to support the current scholarship recipients (Logan Robertson, 2017 Scholarship winner and Rhys Black, 2016 Scholarship winner), both in their study – and in their future employment” says Mr Dodson. The University Scholarship is offered each year by the SWC in addition to running the largest gathering of its type for forestry contractors and those working within the local forestry, wood products and transport industries. A major industry training and awards evening in May of each year is run with well over 350 attending. This year’s SWC Forest Products Training Awards is being run in conjunction with Competenz, local industry and key suppliers to the forestry industry in Dunedin on Friday 25 May 2018. 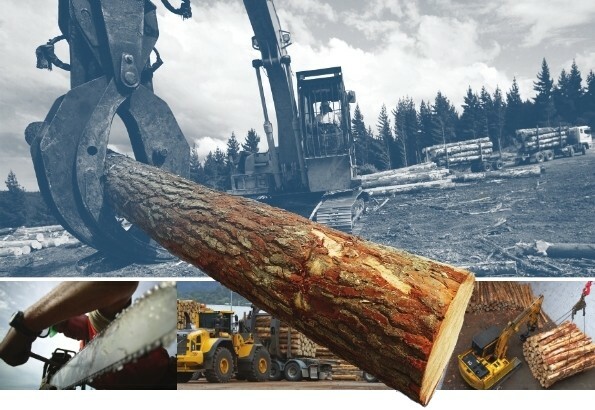 The Southern Wood Council (SWC) represents a wide cross section of the forest and wood products industry, associated key service suppliers and representatives from local and central Government. All major forest owners and most wood processing and manufacturing companies in Otago and Southland are represented. Members along with contact details are listed below. A report on the plantation forest industry has highlighted its value to national and regional economies, as well as forestry’s beneficial effect on New Zealand’s ecology. The NZIER Report was commissioned by the New Zealand Forest Owners Association and Farm Forestry Association. The Report has found the forestry and logging sector is worth $1.4 billion to the national GDP, making a substantially larger contribution to GDP than either the sheep meat or beef sectors. Forestry is hugely important for many provincial economies. The Report details that our production has gone from 10 million cubic metres of timber in 1989, to 28.7 million cubic metres last year. MPI forecasts New Zealand forest product export returns to reach $6.15 billion by 2020, from the current $5.14 billion in 2016, with increasing returns from sawn timber, wood panels, pulp and paper all contributing. a description of the infrastructure and services that have supported the growth of the industry. New wood availability forecasts for the Otago – Southland wood supply region were released in 2014. The forecasts cover the period 2014 to 2050, and replace the earlier forecasts from 2008. The forecasts were prepared by Indufor Asia Pacific Limited, and incorporate the harvest intentions of the region’s major plantation companies (with over 1 000 hectares of planted forest). The forecasts were reviewed by local forest managers and consultants, to ensure they are a realistic representation of future supply. The forecasts have been a joint initiative between the Ministry for Primary Industries and the Southern Wood Council. Indufor has prepared separate forecasts for Otago and Southland, as well as for the combined wood supply region. The forecasts are intended as a planning tool for the forest industry, councils and infrastructure providers. A Wood Energy Supply Study prepared by Ahika Consulting in July 2015 confirms available supply of wood fuel for southern industrial boilers until 2050. Businesses considering switching from fossil to wood fuels can be confident that there is sufficient supply through to 2050. The Wood Energy South project identified this concern from the offset and commissioned a study to quantify the volume of waste wood in the South Otago and Southland Region. More than 1 million tonnes of logs are harvested annually and this is projected to continue to increase at a rate of 2% per annum over the next 30 years. A large majority of this is exported but a quarter (25%) of this harvest remains in Southland. The study estimates the annual waste wood volume is currently 200,000 tonnes and will increase to 600,000 tonnes per annum over the next 30 years. Wood Energy South is a $1.5M joint venture project between Venture Southland and the Energy Efficiency and Conservation Authority (EECA). Currently there are eight wood fuel users across commercial, education and local government operations around Southland. The Wood Energy South project has technical expertise and funding available. For more information on this or to find out more about the wood supply please visit www.woodenergysouth.co.nz. This report was prepared for Wood Energy South, Venture Southland and the Energy Efficiency Conservation Authority by Ahika Consulting in July 2015. The report was commissioned to provide certainty to candidate industrial wood energy users within South Otago about the ongoing availability of wood residue as an energy source. The assessment is focussed on South Otago. It evaluates the available woody biomass resources that are available within the region, highlights the challenges and constraints to enabling a supply network, identifies solutions to overcome likely constraints, identifies the most profitable and effective supply chains and provides a clear strategy to enable the sustainable delivery of wood fuel to potential industry users. The Southern Wood Council members manage plantations and processing operations in the Otago – Southland wood supply region. The region has a combined plantation estate of 208,744 hectares (1 April 2017). This resource represents 12.23% of New Zealand’s national estate and is concentrated in the Clutha, Southland, Waitaki and Dunedin districts. The estate is New Zealand’s most diversified, in terms of species (with large areas of Douglas-fir and eucalypts) and has doubled in size since the mid-1980s. The forestry and timber processing sectors are major export industries for the Otago – Southland economy. This export focus will increase over the next decade with the maturing of the region’s forests. The combined export returns for logs, sawn timber and woodchips stood at $229.7million for the March 2015 year (provisional figures). The region accounted for 7.2% of New Zealand’s log exports (by value) and 7.8% of sawn timber exports. The Otago – Southland region has a history of sawmilling and timber processing that dates back more than 150 years. In the March 2014 year the region’s sawmills produced 346 000 m3 of rough sawn timber. This was equivalent to 8.8% of New Zealand’s sawn timber production. The forestry sector is an important employer across Otago and Southland, particularly in regional centres such as Milton and Winton. In 2014 the industry employed an estimated 1 741 workers in forestry and logging, support services and first stage timber processing (sawmilling, timber dressing and other wood product manufacturing). Of this total, 366 were employed in forestry and logging and 770 in sawmilling and timber dressing. The employment is concentrated in the Southland, Clutha and Dunedin districts.